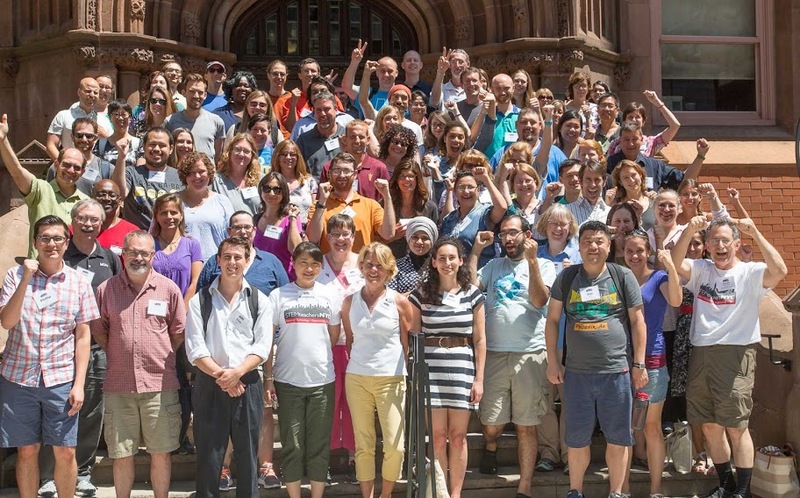 STEMteachersNYC strives for excellence in Science, Technology, Engineering, and Mathematics teaching, and for deep learning, strong self-confidence, and success of our students, through interchange and interaction among STEM teachers. We are a teacher-led 501(c)3 non-profit organization dedicated to creating quality professional development opportunities in the New York City area for STEM teachers. Our weekend workshops are offered during the school year and multi-day and multi-week workshop intensives occur in the summer, led by master teachers. We welcome and encourage teachers from across the globe, the US, and the local New York City area! STEMteachersNYC programs draw from a teaching methodology known as modeling, which is closely related to Next Generation Science Standards. Modeling is a student-centered approach to teaching that emphasizes the use of scientific models in an interactive learning community. Students are engaged with simple scenarios and learn to model the physical world. The approach engages students in experimentation, data collection and analysis through a set of structured “paradigm” experiments, asks them to represent their understanding using whiteboards, and then deploys the resulting model in analyzing related phenomena. When the models fail to explain what students are seeing, the cycle of experimentation, data collection, and model-making begins again. Looking to get a better understanding of what STEMteachersNYC workshops are like and how they can impact you and your teaching practices? Check out this 8 min video highlighting how the core idea behind forces and motion (pushing and pulling) is demonstrated to teachers in one of STEMteachersNYC's workshops. Copyright 2017 © STEM Teachers of NYC Inc.